Students can choose from more than 37 majors (called concentrations) as well as 55 certificate programs (minors). View full list here. The student-to-faculty ratio is 5:1. First-year students take Freshman Seminars as an introduction to academic writing and intellectual inquiry. Students have the opportunity to pursue independent academic research under the guidance of a faculty member. Pre-professional advising is available for students interested in pursuing careers in the health professions and law. 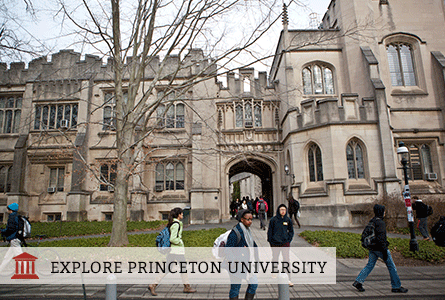 The Bridge Year Program is a tuition-free program that allows a select number of Princeton students to delay the start of their first year in order to engage in nine months of University-sponsored service at one of five international locations.